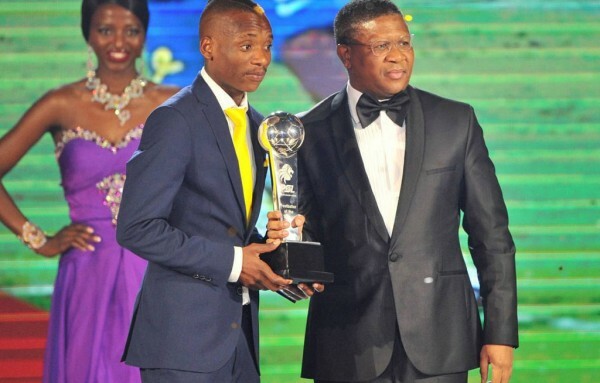 Harare - Warriors kingpin Khama Billiat is set to start when they clash with Congo Brazzaville away at the Massamba Debate Stadium on Sunday, after he overcame an injury which had threatened his participation in the crucial Africa Cup of Nations (Afcon) Group G qualifier. The forward was struggling with a hamstring problem, which had kept him out of several training sessions since camp started recently. However, he took part in yesterday’s session at the National Sports Stadium and was heavily involved as the team wrapped up preparations ahead of their departure for Brazzaville this afternoon. Coach Sunday Chidzambga, speaking to the media after the team’s final session, said Billiat had been certified fit for the match and would be part of the starting 11 on Sunday. “Our preparations went on very well, except that we had Khama Billiat nursing an injury, but he is now fine. He trained well for the whole session and we look forward to a good game,” he said. Chidzambga refused to name the rest of his starting team. Despite several injury-induced withdrawals, the squad named yesterday for the trip remains formidable. The 18-member squad is led by skipper Knowledge Musona, who is likely to be deployed just behind main striker Evans Rusike. Kudakwashe Mahachi is likely to be preferred on the wing, ahead of Talent Chawapiwa, possibly to be turned into an impact player. There were not many surprises in the composition of the final squad, although some would feel that Terrence Dzvukamanja deserved to be part of the team. The Bidvest Wits attacker was one of the six unfortunate players to be dropped from the squad, with the coach opting to leave behind most of the locally-based players. Richard Hachiro, Talbert Shumba, Bernard Donovan, Liberty Chakoroma and Byron Madzokere are the other players that failed to make the trip. United States-based striker Luckymore Mkosana made the final cut and will be hoping to get his first national team cap. Chidzambga, who is renowned for his defensive approach, preached caution ahead of the tie. “In modern football, you have to do both, to defend and attack, but we have to do that cautiously. We are playing away from home. We need not to open the game,” he said. Congo Brazzaville lost 3-1 to the Democratic Republic of Congo in their opening qualifier and would be desperate to revive their campaign, which makes them a dangerous opponent. “We are going to face a very good side. We won’t take them lightly, they are highly rated in Africa so it won’t be an easy match for us,” Chidzambga reckoned. Zimbabwe currently lead the four-team group after their 3-0 win over Liberia and with two top teams from the pool set to qualify for the Afcon finals next year, a win for the Warriors in Brazzaville will put them on firm ground. “In the Afcon qualifiers, you need to pick as many points as you can, especially away from home. If we can pick maximum points, I would be very pleased. Most of the players are raring to go, we have quite a good squad and we have had a good training week and hope the players will deliver the goods for the country,” Chidzambga said.